N4000 Online Registration Fee Must Be Cancelled - Corpr. 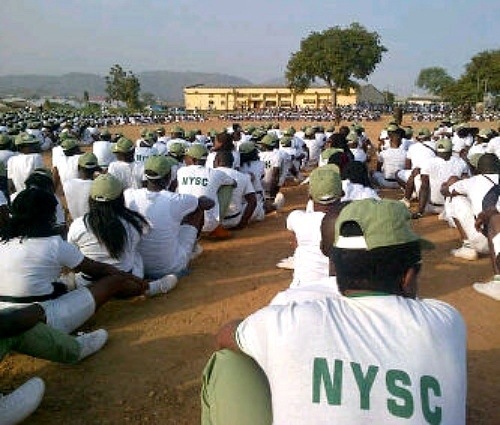 Parents and prospective corps members have called for an outright cancellation of the National Youth Service Corps (NYSC) online registration fee. The stakeholders made the demand in separate interviews with the News Agency of Nigeria (NAN) in Abuja on Monday. They said that the online registration fee was too exorbitant for prospective corps members to bear. They also said the increasing economic hardship in the country and other socio-economic factors should be put into consideration by the appropriate authorities. Mr Jonah Ugwu, a parent resident in the FCT, said the idea of making NYSC mobilisation electronic compliant was a good one, but noted that it was ill-conceived. He said the initiators of the policy did not consider a lot of factors before coming up with the cost and other logistics for the new method of mobilisation and registration. “The idea is a wonderful one but the timing is wrong, where will these young graduates get N4,000 to register for the scheme. I am not against the new format for registration, but it should be made free in the first instance then subsequently the corps could be levied a token,’’ he said. Mr Dairus Akaleku, also a parent, decried the measure adopted by the NYSC to introduce the new system of registration. He said the entire process has been marred by the high charges fixed for the exercise. According to Akaleku, the online registration is a good initiative, but frowned at the high fee as the same result could be achieved at a cheaper rate. Akaleku advised the NYSC management to reverse the fee to N500 or at most N1,000 to enable all prospective corps members buy into the new method. Mrs Ijeoma Okeke, a businesswoman in the FCT, said government should realise that the fee for the registration would be an added burden to parents without any commensurate increase in their income. “Where are the parents going to get the money from, business is not booming and there has not been increase in the income of those working in government establishments. This is absolutely unacceptable and unnecessary, can’t there be some other ways of introducing the new format other than asking the jobless graduates to pay for the call up letters, it is sad,’’ she said. A prospective corps member resident in the FCT, who spoke on the condition of anonymity, told NAN that he could not afford the said amount for his call up letter. He told NAN on condition of anonymity that the idea was novel and preferred it to the manual method. But corps member said he had to save money to get other needs to participate in the scheme. He appealed to the authorities to make it free for all prospective corps members. He stressed that making it optional was not in the best interest of the registration process. Another prospective corps member, who also did not want her name mentioned, wondered why government could not make adequate provision for the new initiative. She said the NYSC management could liaise with the mobilising institutions to get the needed data about the graduating students and feed same to the NYSC for the electronic registration. “As far as am concerned NYSC does not need to embark on a separate data capturing exercise for the sake of mobilising corps members. Most schools now register students online, so the schools can arrange for special registration for graduating students which they can transfer to the NYSC for the purpose of mobilisation. “This will save us the stress of paying any amount for the registration,’’ she said.